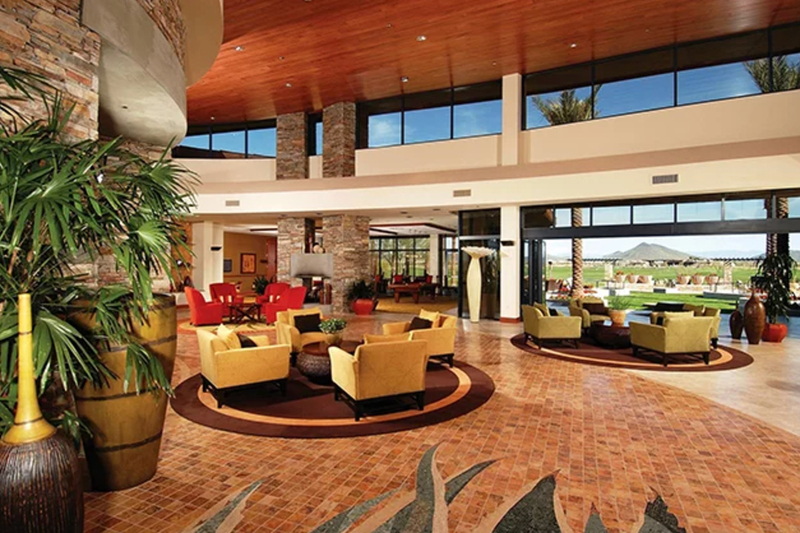 Make sure to check out The Kiva Club in Trilogy at Vistancia. Prospective buyers looking for an active adult community can test the waters for a day at Trilogy at Vistancia in Peoria, AZ. This 55+ community is home to more than 20,000 homeowners and now they’re offering the same experience for interested guests to see if the lifestyle is a fit for them. Trilogy has launched the monthly “Be a Member for a Day” program where visitors can spend the entire day in the community and experience everything it has to offer. Visitors can meet residents, work out at the fitness center, practice with a golf pro, swim in the pool, relax in the clubhouse, or enjoy a cup of coffee in the café. The “Be a Member for a Day” experience is held once a month and is from 1:30pm to 7pm. Attendees will receive an itinerary that’s full of activities and scheduled events. Guests will attend a 30-minute introduction as well as register as Trilogy members for the day. Following registration, visitors will get flex time to choose an activity from the available selection. Some options include going to the driving range or putting course with a golf pro, taking a personal training session or class at Afturburn, or lounging by the pool with locker access, a robe and towels, and a complimentary drink. In the late afternoon and evening, guests will reconnect with their hosts and share photos of their experiences. The evening will wrap up with a weekly Member Happy Hour with live music at The Mita or Kiva Club. An RSVP is required to experience the “Be a Member for a Day” event.